For the first time, Sydney’s Art Deco buildings of the 1930s and 1940s are identified and gloriously displayed with contemporary photographs alongside archival images. 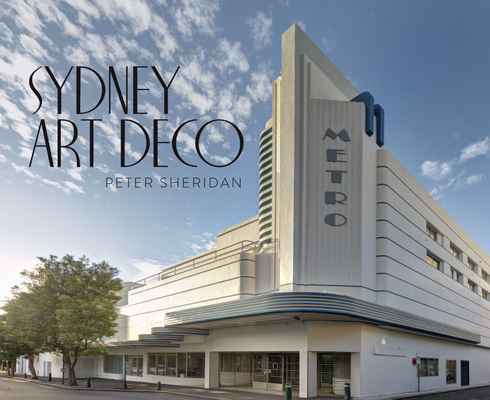 Sydney Art Deco explores the impact of the Art Deco style on the landscape and life of Sydney during the 1930s and 1940s. Using contemporary and archival photos the book covers the whole gamut of moderne, functionalist and streamlined styling in the architecture of Sydney during the 1930s and 1940s. Art Deco was a global style and Sydney Art Deco explores its impact on the lifestyle of Sydneysiders with a glimpse of Australian artwork, fashion, furniture and accessories. The time of Art Deco was a brief hiatus between two World Wars and compounded by the devastating effects of the Great Depression. Life was not always glamorous but in many ways the style ushered in a new sense of freedom for people from the Victorian era’s restrictions of class and attachment to tradition. New technology, mass production and the machine age brought a promise of a new future and industrial design with new materials made affordable and stylish goods available to the whole community. Sydney was still steadfastly British in the 1930s but the international style of Art Deco made its mark in Sydney. The city is graced with some beautiful architectural examples which can be seen in Sydney Art Deco and which should be appreciated and maintained as part of Sydney’s built heritage.